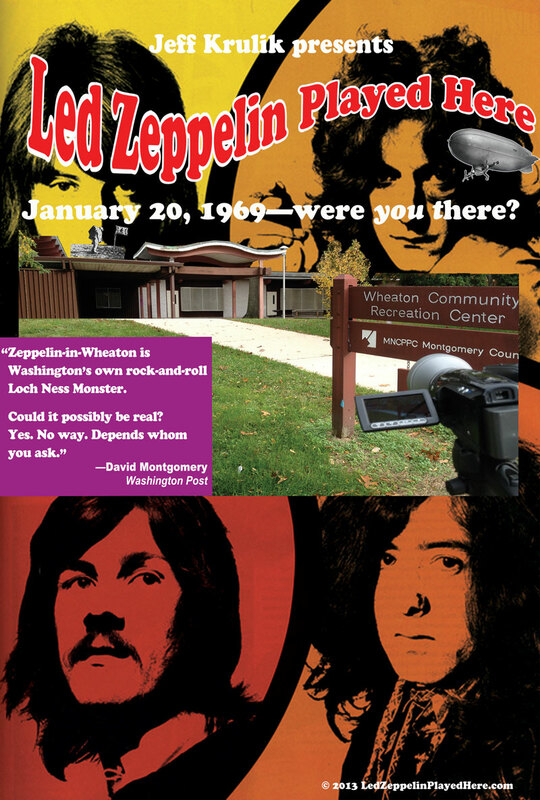 There are no pictures, contracts, posters, or any form of discernable documentation about whether or not Led Zeppelin played to a small crowd at the Wheaton Youth Center in Maryland on January 20th, 1969, the night of Richard Nixon’s presidential inauguration. Despite the lack of evidence, there are some people who swear it happened because they were there, while others doubt the possibilities due to little empirical documentation. 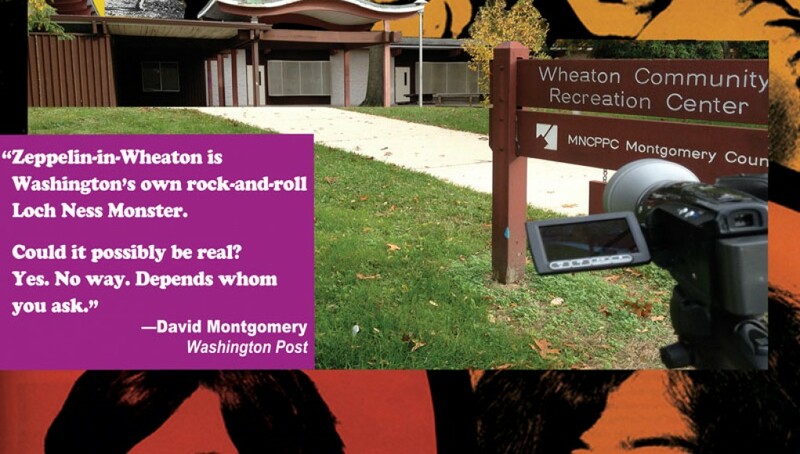 It’s not unfathomable that many of the top rock bands of the late 1960s and 1970s played in and around the Washington D.C. area, and there is plenty of proof available. Yet, there is a great divide on whether or not the greatest rock n’ roll band, virtually unknowns at that point, played in the small gymnasium on a cold, snowy evening for a measly $200. There are even thoughts that the band wasn’t billed as Led Zeppelin, but as The New Yardbirds. The debut self-titled album had only been released in America just a few days before, and the dates before and after the supposed show do point to a possibility that a show could have indeed happened there. Whether or not Led Zeppelin actually did play in this tiny town to a tiny crowd, the documentary reveals the lifestyles and logistics of some of the most important bands of the rock n’ roll era as they toured the nation’s teen centers before they got big. Those who attended or promoted these events even recognize that their drug habits during those days may have also contributed to the fuzzy details, forgetfulness, or confabulation as one interviewee recounts and defines. Yet, interviewees are able to recognize names, places, dates, times, and photographs of nearly every other event, record label, or process used to promote bands during this time, there just isn’t a consensus on one particular date for one of the most important bands ever. There are even uncertainties regarding the amount of people and even the dates. One of the promoters is certain that it never happened, and another is certain that it did happen, but not at Nixon’s inauguration in front of 50 people, but on election night in 1968 in front of 200. Led Zeppelin Played Here is a crude documentary. The camera falls during interviews, edits are laughable, the audio quality varies and is cut poorly, and even the narrative is clumsy. This is not a documentary meant to be beautiful or inspiring, but fun, theoretical, and above all, passionate. It reminisces of a time where bands were discovered on the radio, swooned over in tiny gyms, and when DJs were the most important influences in regional areas. Fans display their collections of vintage posters, ticket stubs, and archive footage with awe, and their collections are worthy historic documents that should be preserved in museums. This mystery is not nearly as important to discern as other mysteries in the world. The gross amount of differing opinions, dates, and other details truly puts this into niche folklore that has made the supposed event the region’s own Roswell alien invasion. Even the surviving members of Led Zeppelin cannot give a set yes or no, and the band’s biggest fans and memorabilia collectors also cannot truly give a concrete answer. Led Zeppelin Played Here will take the mystery to a new dimension, one that will test the truth more than it already has, possibly making it more difficult to ever truly answer whether or not Led Zeppelin jammed at what could have been their worst paid and attended gig ever.